At a cost of approximately $3 million per year, Ballet Tech integrates an academic education with pre-professional ballet training. With academic classrooms on site at 890 Broadway, students take a rigorous schedule of dance classes as part of the regular school day. The New York City Department of Education provides academic faculty, supporting staff, and the core academic curriculum, which aligns with NYS standards for learning. Ballet Tech provides the ballet training, dancewear, and supporting programs including visual arts classes, an after-school program, performing opportunities with Kids Dance, and transportation. 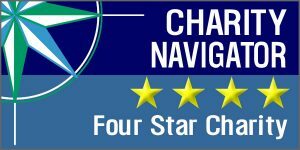 Ballet Tech received a 4-star rating from Charity Navigator and a 2019 Gold Seal of Transparency on GuideStar, which demonstrates strong financial health, commitment to accountability and transparency. We extend deep appreciation to the institutions whose generous support fosters the creation of innovative new ballets and keeps our students dancing. Please click here for a full list of Ballet Tech’s institutional funders. To contribute by phone, please call our Development Department at 212-777-7710, x323, Monday through Friday from 10am to 6pm. We are happy to accept gifts of securities or from a Donor Advised Fund. Also, we can accept “qualified charitable distributions” from Individual Retirement Accounts (IRAs), which will count toward an individual’s Required Minimum Distribution (RMD). To make a gift from your IRA, contact your IRA trustee or custodian to distribute the funds directly to Ballet Tech. If you have further questions, please contact our development office at 212-777-7710, x323; our tax identification number is 13-2773475. Ballet Tech greatly appreciates matching gifts from companies and will add the matching gift amount to your donation for recognition purposes. Check with your Human Resources department to see if they will match charitable donations made by employees. Become a member of the Ballet Tech Legacy Society! You may also designate your gift to a specific purpose. Our tax identification number is 13-2773475. Please let us know if you have designated us in your will, so we can thank you properly and add your name to the Legacy Society. To learn about other types of planned gifts, contact the development department. Please note in making any changes to your will, or when creating a new will, you should consult with your own professional advisor, such as a lawyer, financial planner or accountant. All contributions are tax-deductible to the extent provided by the law. The organization’s most recent 990 may be found by clicking here, and its most recent audited financial statements may be found by clicking here. A copy of the most recent annual financial report filed with NYS is available from the Charities Registry on the New York State Attorney General’s website (www.charitiesnys.com) or, upon request, by contacting the New York State Attorney General, Charities Bureau, 28 Liberty Street, New York, NY 10005, or by writing to us at 890 Broadway, New York, NY 10003. You also may obtain information on charitable organizations from the New York State Office of the Attorney General at www.charitiesnys.com or (212) 416-8401. Ballet Tech was a place of discovery and growth. I was introduced to the importance of professionalism at a young age, and I learned a great deal of what it meant to be a dancer in daily ballet classes and rehearsals. No, [I’m not dancing] but I continue to move as a soccer player and think it’s fair to say that any occasional grace I show on the field I owe to BT training. I also feel, immodestly, that I might be more perceptive than the average “So You Think You Can Dance” viewer. Ballet Tech was a new beginning for me, a stepping stone to my dance career. It molded me into the dancer I am today. BT taught me discipline, responsibility, leadership, and influenced my character at a very young age. A New York City Treasure. The physical and mental foundation that years of intense ballet training imparted is invaluable. The quick thinking, the discipline, and the motivation to push on even when you feel like giving up goes beyond the dance studio. Ballet Tech was my home for 13 years. I loved my time there as a dancer and learned that one of the most important things in life is to love what you do.